The Church has always held that the universe was created by God, a fact that can be known by reason alone (Stephen Hawking, wherever you now are, take note! ), and that said universe came into being at a certain point ‘in time’, a dogma clarified at the Fourth Lateran Council in 1215. Of course, the phrase ‘in time’ is a bit ambiguous, for time began with creation. Saint Augustine discusses the period before time, in which there really was not time, only the Trinitarian God in His eternal present, the One Who lives ‘totum simul’, all at once, in the perfection of His being. He had no need of anything else, and His motivation for creation was pure, altruistic love, for His glory. The Church had to clarify its teaching in the 13th century, in part, to refute certain opinions of the great Aristotle, whose newly discovered, translated and very popular philosophical works had been making the rounds in the newly founded universities. One of the tenets of ‘the Philosopher’ , who did not believe in any ‘God’ that we would recognize, was that the universe was eternal, always being the way it now is. This and other teachings of Aristotle led to a good deal of at least apparent conflict between reason and faith, philosophy and theology, sometime healthy, sometimes not, but always, in some way leading to the truth, as Pope John Paul makes clear in his 1998 encyclical Fides et Ratio. For truth ultimately can never contradict truth, in whatever realm or mode it is presented. One application of this controversy was whether one could disprove the eternity of the universe (akin to the infinite spatial dimensions), or prove its creation at a certain point in the distant past. Many sola scriptura Protestants believed in a literal, six-day creation thousands of years ago, the most famous of them being the pious Irish Anglican Archbishop James Usher, of the See of Armagh (also, curiously, the diocese overseen by Saint Oliver Plunkett, the last Catholic martyr to die in England of the Protestant persecution, hung, drawn and quartered on July 1, 1681, on a false charge of ‘high treason’). But back to Usher, who in 1654 in his Annalium Pars Posterior, tracing back the genealogy of the Bible, calculated that the world was created in the nightfall of October 22, 4004 B.C. Suffice to say that most scientists did not follow this chronology. Many, in fact, came to adopt a more Aristotelian view (whether explicit or not), that the universe was always more or less the way it is now, a theory that came to be known as the ‘Steady State’ model. But questions physical and metaphysical still abounded. Did the universe have a cause for its existence, and what holds it in being? What is its shape? Does it have a limit? The question that most concerned Catholics was whether there were any proof for the creation of the universe ‘in time’. Well, a viable theory, based on Einstein’s General Theory of Relativity (1915), was put forward in 1922 by Alexander Friedman (1888-1925), and then developed in 1927 into the form we now know it by Father Georges Henry Joseph Edouard Lemaitre (1894-1966), a Belgian Jesuit, and professor at the Louvain, based on the principles of general relativity, and other observations of the preceding two centuries. Father Lemaitre called it the ‘theory of the primeval atom’, even the ‘cosmic egg’, that the universe ‘exploded’ into existence billions of years go from an infinitesimally small and infinitely dense ‘quantum’ of no dimensions, but near-infinite energy, and is to this day expanding outwards, ‘creating’ space and time as it does so. These theories were based on the hypothesis that all the matter in the universe was created in one big bang at a particular time in the remote past. It now turns out that in some respect or other all such theories are in conflict with the observational requirements. And to a degree that can hardly be ignored. Hoyle basically held that the universe always was in more or less its present form, considering any theory that implied the universe began at a certain point in time as too consistent and convenient with a ‘creation’ worldview, which Hoyle a priori rejected. As often happens, Hoyle’s nickname stuck, right up to the inane sitcom that now bears the title. The steady and unchanging nature of the universe was hard in the dying. In the early to mid 17th century, Galileo was really the first to refute the Aristotelian-Ptolemaic cosmological theory. With the development of the telescope (which he perfected), he discovered that the Moon was just like the Earth in composition; that there moons circling Jupiter, and that Venus orbited the Sun. Although, contrary to certain historical misconceptions, he never fully proved Copernicanism, heliocentrism and geokineticism, Galileo did put the nail in the coffin of Aristotle’s view. Yet for centuries after Galileo, the cosmos was still assumed to be more or less stationary, besides the moving planets (whose name means ‘wanderer’). But people began to wander, and to wonder: Were Aristotle’s fixed stars really fixed and stationry? William Herschel (1738-1822, whose main job was as composer) took to studying the stars (building his own fine telescope) to determine whether they moved. He could not, but he did serendipitously discover a new planet, Uranus, which made him famous. He also proposed the flattened-disc shape of our own Milky Way galaxy (considered then the extent of the universe), along with binary stars (which compose most star systems, about 80%). Still the stars seemed stationary. In 1838, Frederich Bessel discovered the parallax of star 61 Cygni, at 500,000 A.U., (‘astronomical units’, the average distance of the Earth to the Sun, 93.5 million miles, with 500,000 of them being about 11 light years). Such a shift in the star’s apparent position from our perspective is not due to the star’s motion, but the Earth’s, as Cygni appeared to move in its position. As our planet revolves around the Sun, there is a 186,000,000 mile discrepancy from winter to summer; hence, the apparent movement of the star. This was, however, the first physical proof of the Earth’s motion, something that Galileo had tried to discover, but could not (their telescopes back then were not good enough, and the stars far, far, farther away than anyone then could have possibly imagined). Just earlier, in 1814, during the tumult of Napoleon’s march across Europe, the German Joseph Fraunhofer (1787-1826), working peacefully in his own observatory, discovered that the Sun and other stars have an absorption spectrum, which Gustav Kirchoff (1824-1887) in mid-century used to prove that the Sun (and other stars) are not ‘heavenly orbs’ composed of the mythical, unchangeable ‘quintessence’, but rather made of the same kinds of elements as found on Earth, primarily hydrogen and helium (another disproof of Aristotle-Ptolemy). How the Sun and stars produced their energy would have to wait until the 20th century, and the discovery of nuclear power. A few decades later, in 1842, Christian Doppler demonstrated the effect that holds his name, that light and sound waves differ in frequency, increasing or decreasing respectively, whether they are approaching or receding from an object. That is, the waves compress as they move towards, and decompress or spread out as they move away from, any given observer (which is why a siren sounds higher as the ambulance approaches, and lower as it moves away). This method was applied to the stars, and it was discovered that most of their light spectroscopy is shifted toward the red-end of the spectrum, signifying a lowered frequency, in turn signifying that almost every interstellar object is moving away from us, some at fantastic speeds. Even though distant objects are moving away very quickly, we cannot perceive this motion due to the incredible distances involved, untold millions of light-years, each of which is trillions of miles. Over the whole of recorded history, the stars have only moved a smidgen from our perspective, and they will have moved a smidgen more for our great-great descendants to the hundredth generation. 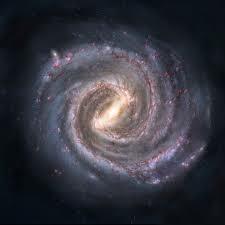 First, many of the distant points of light in the sky presumed to be stars were not so, but rather whole galaxies, each of them containing as many as, or more, stars than our own Milky Way, billions upon billions of stars. Second, what was just as bizarre was the law that goes by his name: Using the redshift phenomenon, Hubble calculated that the farther away an object is, the faster it is moving away from us (some of the most distant at close to the speed of light!). This follows a linear relationship, v=HD, or velocity equals distance, times Hubble’s constant. Wherever astronomers look, this relationship is observed, and is also uniformly isotropic (i.e., the same in whatever direction we look). The universe is uniformly expanding in all directions at once, since there is no absolute centre to the cosmos. The Earth is as much at the ‘centre’ as anywhere else). No matter which galaxy one chooses, the resultant time, calculating backwards, when all these galactic objects were in one place together comes out to about 4.6 x 1017 seconds, or about 15 billion years. The universe was a lot bigger and a lot more mobile than anyone could possibly have thought. 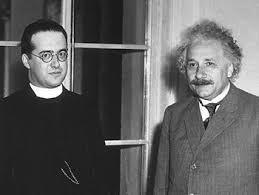 Which brings us back to Father Lemaitre and his Primeval Atom, or the Big Bang. The good Jesuit had proposed his theory in 1927, without physical evidence, using only the mathematics of Einstein’s General Theory of Relativity, which implied the universe must be expanding. Now, lo and behold, here was just the evidence they were looking for, a near-perfect explanation of Hubble’s observations. Einstein himself, at first, was having none of it. When he realized that his own famous theory implied the universe was expanding from a single point, he formulated (one might say ‘fudged’) a ‘cosmological constant’ to ensure that the mathematics predicted a steady and eternal universe. 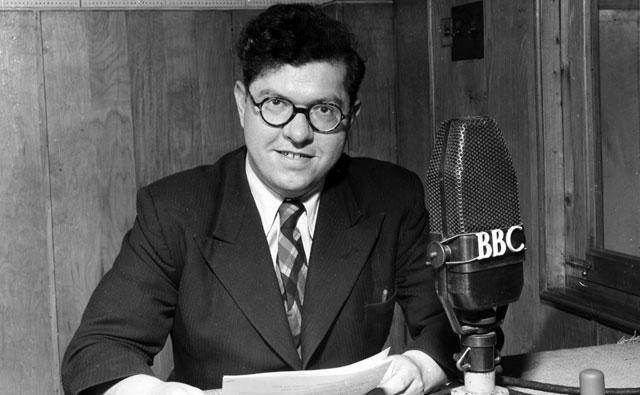 (He afterwards called making up this ‘constant’ one of the great errors of his career). 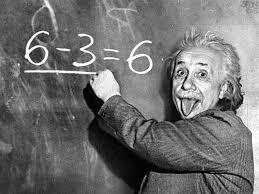 At first, the great Einstein berated Lemaitre’s theory, claiming to Lemaitre that ‘your calculations are correct, but your grasp of physics is abominable‘. We should not consider the ‘Big Bang’ as an explosion in space (not least because there was no ‘space’, nor ‘time’, before the Big Bang…in fact, the theory implies that there was no ‘before’). The Big Bang was, rather, the instantaneous coming-into-existence and subsequent expansion of the entire universe all at once. All of the energy and matter that is in the universe was already there at the first instant (see the First Law of Thermodynamics), all compressed into a ‘singularity’, a point of quasi-infinite density. Further, there was (and is) no point from which the Big Bang expanded outward; since before the Big Bang, there was no universe, hence no ‘point’ to begin expanding from. In fact, we are still inside the Big Bang, for there is nothing, as far as we know, outside of it. In the theory, it is space itself, not the stars and galaxies, that is expanding, and, therefore, everything in ‘space’ appears to be moving away from everything else, at least from a certain perspective. If we think of the universe like a giant inflating balloon, then everything in the Big Bang (that is, our universe) is on the surface of the balloon expanding outward, with each point moving away from every other point. This analogy is limited, of course, for the four-dimensional universe is here represented by the two-dimensional surface of the balloon, and it is impossible for our linear minds to image a four dimensional object expanding, but the balloon gives us some idea. The universe is roughly 13.8 billion years old, and it began from a patch of material packed with this repulsive gravity. The patch was . . . tiny—one 100-billionth the size of a single proton. But the repulsive gravity was like a magic wand, doubling the patch in size every tenth of a trillionth or a trillionth of a second. And it waved its doubling power over the patch about 100 times in a row, until it got to the size of [a] marble. And that happened within a hundredth of a billionth of a trillionth of a second. As a point of comparison, the smallest fraction of time that the average human being can detect is about one-tenth of a second. The ingredients of what would become our entire observable universe were packed inside that marble. 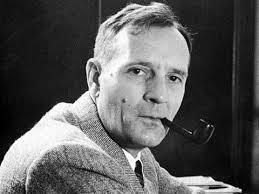 The vast abundance of primordial elements (hydrogen, helium, and so on), and relative scarcity of larger elements (iron, gold, plutonium) (following the stellar nucelosynthetic hypothesis proposed, ironically, by the anti-Big Bang Frederick Hoyle). If in the beginning there were only simple constitutive bits of atoms (like quarks, protons, neutrons, electrons), which gradually coalesced as the universe cooled, then we would expect there to be a far greater abundance of the simplest elements (especially hydrogen), and far fewer of the heavier elements (like platinum). Sure enough, the universe (at least what we can perceive of it) is composed of about 73% hydrogen and 23% helium by mass, and the heavier elements, in general, become more rare as you move up the periodic table. Then there was the serendipitous discovery of the cosmic background radiation of 3-5 degrees on the Kelvin scale (which begins at absolute zero, -273.15 degrees Celsius), purported to be the leftover ‘heat’ from the initial fireball (‘heat’ in one sense, for that is only a few degrees above absolute zero!). That is, the universe is warmer than we would expect it to be given the steady-state model. 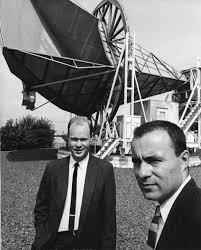 This ‘heat’ (which is actually extremely cold from our perspective) was discovered in 1964, by Arno Penzias and Robert Wilson working for at Bell Labs in Holmdell, New Jersey. At first, they thought the ‘static’ they were picking up on the vast radio telescope was ‘white dielectric material’, or, more plainly, bird droppings on the surface of their radio dish. After scrubbing it off, the static/heat was still there, isotropically, the same in all directions (part of this radiation is the static you see on televisions). The only conclusion that fit was that this was indeed leftover energy from a primeval event, consistent with Lemaitre’s theory. Penzias and Wilson received a Nobel Prize in 1978 for their discovery, with the precise value of the radiation now observed to be 2.725 K). As telescopes improved, it was discovered that cosmological morphology also supports the Big Bang model: Objects that are far away from us, millions or even billions of light years (which means that it takes that long for their light to reach us) look more like objects would have appeared closer to the Big Bang, basically less ‘evolved’ and more plasma-like, rather than galaxies closer to us (nearer in time and, hence ‘older’ and more formed). All in all, with all of the evidence for the Big Bang, as bizarre as it sounds (a singularity of near-infinite density and energy? ), and regardless that it implies some sort of ‘beginning in time’, most scientists now adhere to some form of this theory. That said, many of them try to revise the theory to minimize its creationary implications. Some say the universe eternally oscillates, from a Big Bang to a Big Crunch, then back again, based on the laws of thermodynamics and conservation of energy. We are currently in a Big Bang (expansionary) phase, but at some point this could change, and the Big Crunch will occur. There are numerous objections to this theory, not least the physical problems with a crunching universe, and the loss of energy which would eventually bring the oscillation to a gradual halt (discussed by Father Jaki and others), as well just what an expansion and crunch would look and act like. Also, contrary to this theory, the universe we see shows no signs of slowing down; in fact, if anything, the universe’s expansion is accelerating, due to causes yet unknown (some posit the mysterious dark energy and matter, but that is another story). Stephen Hawking, his great mind locked in his immobile body, but also locked within his own agnosticism, recently proposed that the universe created itself by mathematical necessity, at least that is how I vaguely understand his hypothesis. A thing, however, cannot create itself, as Saint Thomas proved in his ‘five ways’ (ST, Prima Pars, q. 2, a. 3). Dr. Hawking should realize that mathematics is a result of reality, and a mode of measurement, not reality itself. Others claim that there are, in fact, an infinite number of universes, budding off from each other with each ‘quantum event’, and ours is but one, which happens to have begun with a Bang. This, however, is not science, but science fiction. We may enjoy both genres (as I do), but only one qualifies as science, a discipline which requires testability and falsifiability. Either these ‘multiple universes’ are in contact with each other (in which case, they are part of one and the same universe), or they are not, in which case, the theory is not scientific, since it cannot be investigated, neither proved or disproved. We can imagine all sorts of things, but must keep science to actual, testable and replicable experience. And the best theory for what we see is the Big Bang, at least so far. As Chesterton wisely observed, when a man ceases to believe in God (and the ordered cosmos which He created ex nihilo), he will not believe in nothing, but rather in anything. Only a harmony of faith and reason allows us to arrive at the fullness of truth. In principio creavit Deus caelum et terram…Dixitque Deus: Fiat lux. Et facta est lux.